Inspired by couples creating new traditions, this shoot celebrates the unconventional bride. The location, in the desert of Eastern Washington, has particular significance for the designers of Fern & Moon. Three years ago our original unconventional bride Karen Merrifield (Co-founder of Fern & Moon) got married here! Her wedding, and her decision to let go of certain trends and conventions, sparked the idea for Fern & Moon. It only seemed right to return to the desert to shoot another unconventional couple, Mimi and Tanner. 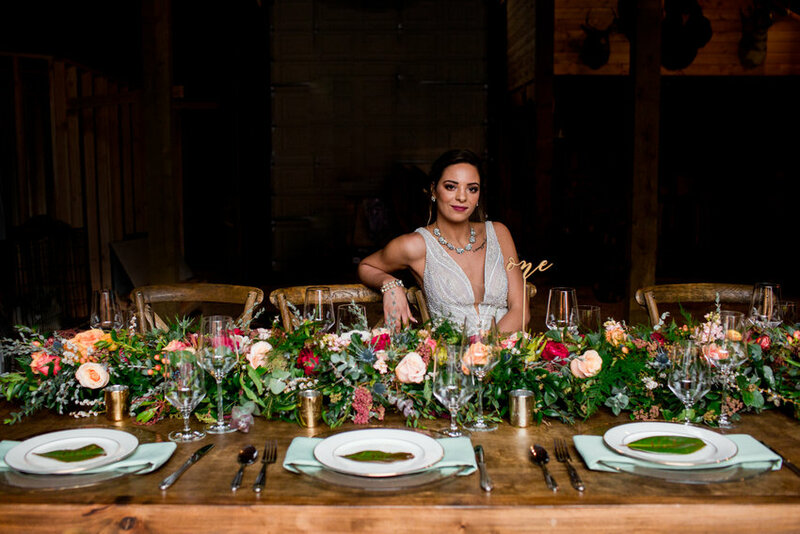 With My Garden Overfloweth (Paterson, WA) providing a stunning bouquet, and Anna Miller styling modern hair and makeup we had a peachy, golden colour palette to rival the desert setting. Mimi and Tanner brought items that felt like "them", from sneakers to a paisley shirt, so their style and personalities were reflected in the images. The most beautiful part of the day was seeing their personalities and love shine through in the images. Each couple is unique, and every couple deserves a chance to celebrate what's meaningful to them.